The present paper is the result of the investigations of the properties and structure of nanocrystalline layers deposited from iron-based nanoalloy on steel S355N substrate by manual metal arc welding method (MMA) compared to selected abrasion-resistant construction materials currently used in industry. The resultant deposit welds were subjected to macro and microscopic metallographic examination. Working properties of obtained nanocrystalline deposits weld compared to currently used materials were evaluated based on the hardness, abrasive wear of metal-to-mineral. The results of deposits weld working properties measurements were compared with property of wear resistant steel HARDOX 400 type used as reference material. A. Lisiecki, Titanium Matrix Composite Ti/TiN Produced by Diode Laser Gas Nitriding, Metals 5/1 (2015), 54-69. D. Janicki, Disk laser welding of armor steel, Archives of Metallurgy and Materials (2014) vol. 59(4), 1641-1646. R. Burdzik, Ł. Konieczny, Z. Stanik, P. Folęga, A. Smalcerz, A. Lisiecki, Analysis of impact of chosen parameters on the wear of camshaft, Archives of Metallurgy and Materials (2014), vol. 59(3), 957-963. D. Janicki, Power Diode Laser Cladding of Wear Resistant Metal Matrix Composite Coatings, Solid State Phenomena, Mechatronic Systems and Materials, (2013), vol. 199, 587-592. T. Chmielewski, A. Golanski, New method of in-situ fabrication of protective coatings based on Fe-Al intermetallic compounds, Proceedings of the institution of mechanical engineers part B-journal of engineering (2011), vol. 225, 611-616. D. Golański, G. Dymny, M. Kujawińska, T. Chmielewski: Experimental Investigation of Displacement/Strain Fields in Metal Coatings Deposited on Ceramic Substrates by Thermal Spraying, Solid State Phenomena (2015), vol. 240, 174-182. Ch. P. Jr Poole, F. J. Ownes, Introduction to Nanotechnology, Wiley (2003), 1-8. G. Heath, Nanotechnology and welding – actual and possible future applications, CASTOLIN-EUTECTIC SEMINAR, Brussels, Belgium, 25-25.10.2006, 15-19. 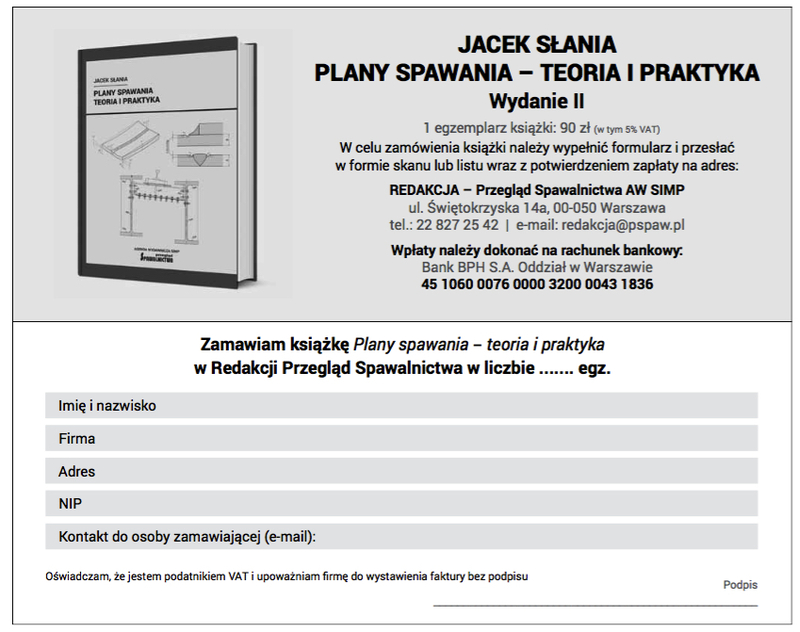 J. Górka, A. Czupryński, Testing of flame sprayed ZrO2 matrix coatings containing CaO, Applied Mechanics and Materials (2015), vols. 809-810, 501-506.
ternational Conference on Surface Engineering (2002), 48-53. S. Boncel, J. Górka, S. P. Shaffer Milo, K. Koziol, Shear-induced crystallisation of molten isotactic polypropylene within the intertube channels of aligned multi-wall carbon nanotube arrays towards structurally controlled composites, Materials Letters (2014), vol. 116, 53-56. U. Reisgen, L. Stein, B. Balashov, C. Geffers, Nanophase hardfaced coatings, Materialwissenschaft und Werkstofftechnik (2008), vol. 39(11), 791-794. A. Czupryński, J. Górka, M. Adamiak, Examining properties of arc sprayed nano-structured coatings, Metalurgija (2016), 55/2, 173-176.